As a romanticized document of two distinct cultures, the Badjao and Tausog tribes of Mindanao, Lamberto Avellana's Badjao is simply spectacular. It begins with a ritual, probably barbaric and shocking to our homogenized world. A baby is born to the pagan sea-faring Badjaos. 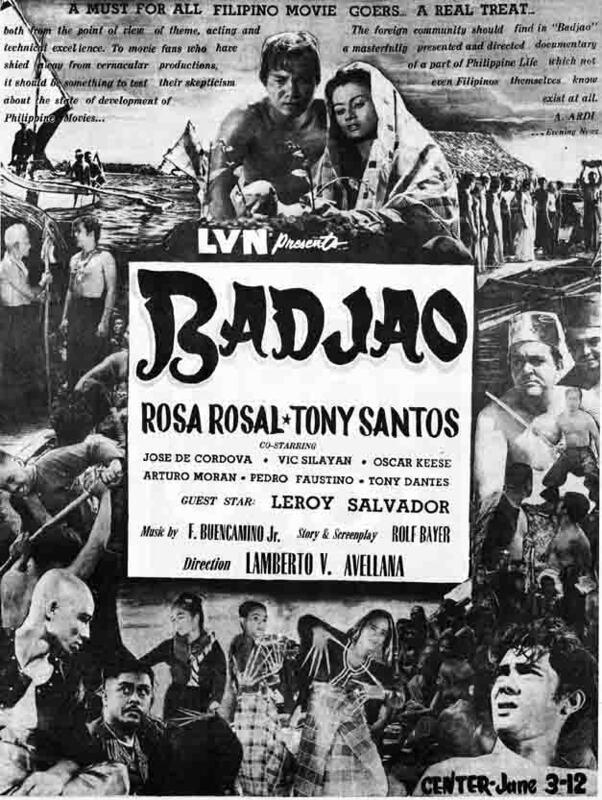 The baby is then thrown into the sea, and a couple of Badjao men would dive into the sea to save the baby from drowning. A man would rise victorious carrying the baby and delivering it to the tribal chief (Pedro Faustino); and the baby, newest member is finally presented to the tribe. We get a feel of their lifestyle through Avellana's curious and meticulous eye: the sense of justice of the Muslim Tausogs (there's a scene wherein the datu sentences a wrongdoer to pay the victim money and to be inflicted a slap that would erase all evidence of the wrongdoing); the intricate marriage vows; the codes of honor and bonds of dignity among and between these people; the clockwork commerce wherein the Badjaos supply the Tausogs pearls, and the latter supplies the rest of the world such pearls through shrewd middlemen. 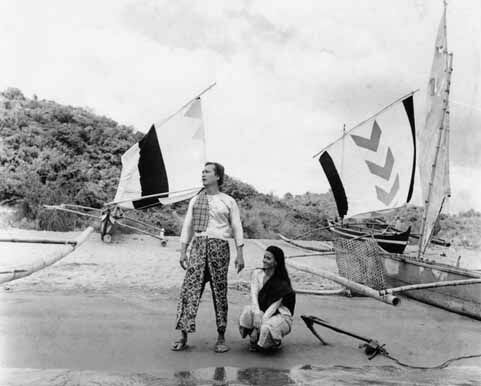 The story, about Hassan (Tony Santos), a Badjao prince, who falls in love with Bal-Amai (Rosa Rosal), niece of the Tausog datu (Joseph de Cordova), is set in an age of the cultural inequality that has characterized the tensions that divide the two tribes. The vast cultural conflicts would lead Hassan to choose between his heritage and his heart. He chooses his heart and converts to Islam and cleansing himself of his Badjao heritage, and deciding to live as a farmer with Bal-Amai within the Tausog tribe. This decision leads to his banishment from the Badjao tribe. It's a powerful picture, one that is very universal and human despite being set against the exoticized landscapes and seascapes of Mindanao. It pits traditions of honor, justice and civility of the two tribes, with sources of human fallibility like greed, prejudice and treachery. Characters are tested: Hassan with his decision to withdraw from the Badjao tribe and adopt Tausog culture; the datu who is blinded enough by the allure of money to descend to the level of blunt treachery; Bal-Amai with her insistence of making Hassan forget his roots. Avellana always fills his scenes with intricacies and details. The Tausog town, with its port of bamboo scaffolds to the marketplace wherein the air of racism is quite apparent, is an impressively built set. Much more spectacular are the boats of the Badjaos: at night, we see these floating boats with their respective lighted torches, like will-o-wisps floating against the night sky. 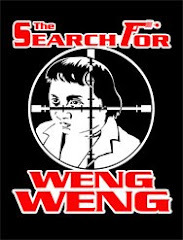 The action scenes are equally gripping: Jiriki (Vic Silayan), the datu's treacherous adviser, and Hassan's duel in the rock beach is nail-bitingly exciting; Muslim kris pitted against Badjao forked staff; and the two fighters end up rolling in the rocks. Avellana understands the mechanics of the fights (the same way he coherently choreographs the early duels in the Tausog town) and commits to celluloid such visceral intensity. The film's final scene, a revisit of the ritual in the beginning, we begin to understand the rationale and humanity underneath the culture-specific ritual. We become more open to the similarities that bind us as a single people despite the diversity in religion, culture, and traditions. 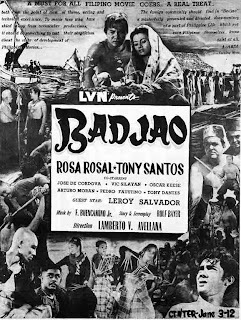 Badjao is a beautiful and intense film, probably the best and most ambitious Avellana made. Avellana, although a Catholic filmmaker and working under the grips of a commercial studio, paints a portrait of both Muslim and tribal cultures with forceful accuracy and affecting sensitivity. 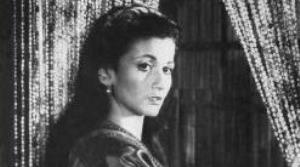 Hassan (Tony Santos), son of a Badjao chief, falls in love with Bala Amai (Red Cross Philippines matriarch, Rosa Rosal), niece of a Tausog datu (Jose de Cardova). Hassan, proves his worth to Bala Amai's uncle by leaving his heritage behind to follow his heart. A treacherous uncle, then conspires to hold Hassan by the neck by forcing him to work for him diving for pearls for his own greedy end. Feeling violated, they both leave the confines of the Tausogs and set sail to return to Hassan's people together with his wife. A sea of mystecism abound in the film, get enthralled by the customs. Most notable are the wedding ritual, the traditional dance, we see women with long metallic nails wave about as they dance together with the captivating gongs, and the sets used in the Tausog tribe, a wide array of cloths and textures will surely excite. Just imagine how this might have been in color; The night scenes of the Badjao's vintas illuminated by small lamps. Even a run around in the thick of the jungle turns symbolic as Bala Amai resists Hassan's dominance. She eventually gives in and the sound of gongs echo louder and louder. Also, Jiriki (Vic Silayan), the Tausog datu's right hand, has a embroiling battle scene with Hassan. So much is to be said about the film, the fact that the story rings true to some aspect of our lives, as portrayed by the two tribes, we are a constant threat to each others existence. The prejudices and hate we harbor inside, even a good-natured character, like Rosal's Bala Amai is not spared to this human weakness. Even her uncle, which she revere and loves turn his back just to spite her. Badjao truly captivates and holds the viewer in a trace like state.